Top 20. 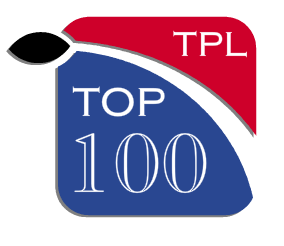 Now we really reach the meat of the TPL100 for 2013. Within the next ten names we find the two best DBs in the NFL, two WRs who've long been considered as elite, two RBs who can still be considered "feature backs" in a league that rushes by committee, two pass rushers, one of whom may be a little lucky to find himself so high based on recent troubles, and finally two big guys, one on each side of the ball. Duane Brown's pro career has been one of ups and downs, but after 5 years in the NFL the 6'4, 320lb monster is currently riding high as one of the best offensive linemen in the league, and has played a huge part in the success of the Houston Texans in recent years, as well as the fantastic numbers his offensive teammates have been able to put up. As a 1st round pick in 2008, Brown was always expected to be a franchise OT for Houston, and he quickly assumed the role of starting LT, not missing a game in his first two years and protecting QB Matt Schaub during the 2009 season in which he was the NFL's passing leader with 4770 yards. Although he has part of 19 sacks allowed over his first two seasons, Brown's overall strength was clear - stout in pass protection and powerful in run blocking. His 2010 season was less of a success. He was forced to miss 4 games through suspension for violating the league's policy on PEDs, and gave up 6.5 sacks in the 12 games he was able to play in. But even then, during a relative down year, he was part of the OL that helped Arian Foster rush for 1600+ yards and 16TDs. By his own admission, Brown learned from that suspension, which he attributed to a mistakenly taken supplement, and came back bigger, stronger and badder than ever in 2011. He again started all 16 games, gave up no sacks and just 2 false start penalties all year, went to his first (and only) Pro-Bowl, and was nominated as Second Team All-Pro. As a reward, before the 2012 season began, Brown signed a 6-year, $53.4m contract extension, which even at the time was a bit of a bargain for a real elite LT, and now looks dirt cheap for the player he continues to become. His 2012 season was excellent by any standards, and even though on occasion he looked a little outmatched against some of the best pass rushing units in the league (Clay Matthews III ate his lunch in week 6), he can be almost unquestioned as one of the best. Von Miller's 2012 season was everything the Broncos could have hoped for. 18.5 sacks, a first career interception, 6 forced fumbles and a touchdown. Miller abused some of the best, and worst, offensive linemen in the league all year to become one of the worst nightmares for QB's in years. Miller's skill-set also markedly improved last year. He had been able to rush the passer as a rookie, but this year we saw a huge improvement in his ability to play a more traditional 4-3 OLB role. He was able to play in space, worked well in coverage and run support, and then when he put his hand in the dirt and rushed? Well it rarely ended well for the opposition. In the last 3 seasons no running back or receiver has had more touches than Arian Foster. No one has had more touchdowns either. But while Foster climbs up our rankings there are worries about his future production going into 2013. We're yet to see him this pre-season thanks to niggling injuries. Now, we got used to never seeing LT in the pre-season during his peak years. Maybe the Texans are doing the same thing with Foster, but it's still a worry. The other issue is that ever since claiming the starting job in 2010 his yards per carry have been falling from 4.9 down to a pedestrian 4.1 last year, a career low. He also set career lows for yards per game, yards per reception and receptions per game. So what's going on in Houston? One of the main reasons for Foster's numbers being less than glowing is the turnover on the offensive line. Mike Brisiel and Eric Winston, who locked down the right side of the line in 2010 & 2011 left last summer and have been inadequately replaced, and you can't always run behind Duane Brown. But have all these touches started to wear him out? He did have pretty heavy usage in college as well, so maybe we're already seeing a slight decline in his explosiveness. If this were a trash talk ranking, Sherman would be an easy top 3 selection. Unfortunately for him this is a best player ranking, so he'll have to make do with 17. Richard Sherman was a 5th round selection of little note in April 2011, but by mid-season people were already raving about his skills, and now? Well after a superb 2012 campaign the Revis Vs. Sherman debates have been coming thick and fast. At 6 foot 3 and 195lbs Sherman is much bigger than your average cornerback, and he uses his frame to his advantage. Sherman is very physical at the line of scrimmage, rarely allowing receivers an easy release. His height means his catch radius is enormous, so it's no wonder he lead the league with 24 passes defended and was second with 8 interceptions. The question is, how much was Sherman and how much was the supporting cast? Seattle's defense was terrific in 2012, with a deadly combination of a fast, aggressive secondary and a good pass rush. But with Chris Clemons bearing down on QB's, Earl Thomas lurking over the middle and Brandon Browner on the other side just how much did Sherman really have to do? Another big knock against Sherman in any comparison with Revis is that he only plays the left corner position, unlike Revis who would track the oppositions best receiver all game. This means teams can, if they wish, move their top guy away from Sherman just as teams did with Asomugha in Oakland and Champ Bailey in Denver. What is there to be said about DeMarcus Ware that hasn't already been said? He's been the best pass rusher in the NFL for almost his enitre career and is 4th among active sack leaders with 111 sacks in 128 games played. That was then, but the reality of now is that DeMarcus Ware is 30 and changing position. Being 30 isn't a problem, but it does highlight the fact that maybe Ware is about to begin a decline. Maybe that explosive first step slows a little, maybe the reflexes that made him so successful dull slightly. And then there's the position change. After being a wildly successful player as a 3-4 outside linebacker the change of defensive co-ordinator means that Dallas will be switching to 4-3 and Ware will be coming down and putting his hand in the dirt/rubber on every snap. How will this effect his production is unclear. He'll no longer have to worry about coverage responsibilities but he will be more involved in heavy contact, won't have as much space to work in against tackles or the threat of a 5-tech DE next to him. Justin Smith is about to turn 34 and was on his way to an 11th consecutive season without missing a game until week 14 when he tore his triceps against New England. That in itself is a ridiculous achievement for someone who plays one of the most physically demanding positions in the NFL, but what was more incredible was just what we learnt about his impact when he was missing. We all knew what an amazing player he was, but when he was out of the line-up for the last few games of 2012, and then when he came back in the playoffs at much less than 100%. The 49ers pass rush simply disappeared. Aldon Smith, who had been averaging over a sack a game in his 2 seasons with in the NFL, was held sackless in all 6 games after Justin Smith's injury. That's staggering, and one of the biggest reasons why he wasn't higher in our list and is perhaps an argument for Justin Smith to be even higher. To say that Aldon Smith is a creation of Justin Smith would be unfair, any player would suffer when a great talent next to them was suddenly taken away, but Justin's ability to attack the inside shoulder of tackles and split double teams with raw strength and speed of the ball does provide a shorter corner for the outside linebacker next to him. The last 3 years haven't been too good for our old friend Larry Fitz. An average of 80 catches, 1,115 yards and 6 TD's is hardly the kind of elite production that would merit a top 20 place in such a prestigious list as this. But to say there are mitigating circumstances would be an understatement. Since losing a 2-time MVP and Super Bowl winning quarterback, Larry Fitzgerald has been attempting to haul in passes from the dregs of the NFL passers: Derek Anderson, John Skelton, Max Hall, Richard Bartel, Kevin Kolb, Ryan Lindley and Brian Hoyer have all heaved the football in the general direction of Fitzgerald and usually ended up hitting someone 8 yards off the field. Last season was a particularly horrible one for Fitzgerald, putting up the worst single season numbers of his career: 71 catches, just 798 yards and 4 touchdowns. For a guy who's just turned 30 and made 6 straight Pro Bowls that is a terrible year. Ray Rice is everything you could want in a running back, unless you're Cam Cameron that is. In 2012 the now former Ravens offensive co-ordinator managed to give Rice his fewest touches in a season since his rookie year. Jim Caldwell took over from Cameron after a week 14 loss to Washington and quickly proceeded to put his offense on Rice's back and let him carry them as far as he could, which as it turned out was to the Lombardi trophy (Rice had 92 touches compared to Flacco's 83 completions in the playoffs). Darrelle Revis of the Tampa Bay Buccaneers. Still doesn't sound quite right. Sliding outside the top 10 of the TPL 100 can only be due to the question marks that still surround Revis' health and status for the 2013 season. He hasn't played a single snap in pre-season for his new team, having been traded for a 2013 1st round pick and a conditional 2014 3rd/4th rounders, but his new HC is confident he'll be able to start in week one vs his old team, the New York Jets. Whether he'll still be the dynamic shutdown corner that has earned 4 Pro Bowl and 3 All Pro berths in his 6 seasons in the NFL is another matter, but here at TPL we still regard him as the best defensive back in the league. Edging out Richard Sherman, his verbal sparing partner, Revis clearly still sees himself as THE corner to beat. 2011 wasn't the best year for Andre; injuries limited him to just 7 games and stifled his production when he was healthy. That was his age 30 season and the detractors suddenly popped up questioning whether he still had it any more. Was he losing a step? Were they years of carrying the Houston passing game finally calling in payment on his body? Well we didn't believe it, and ranked him at 13 going into 2012, where Andre Johnson rewarded those who had remained faithful in Houston and all his fantasy owners. Johnson's return to form was overshadowed by the performance of some teammates and also his fellow Johnson in Detroit, but at 31 he posted his fifth season of over 90 yards a game and seventh of over 14 yards a catch. Sure he only found the endzone 4 times, but that's more about the Texans philosophy in the red zone that it is about any lack of skill on Andre's part. He's still a physical monster who's more than happy to work outside the numbers or over the middle. A big reason he's one of our favourites is the work he puts in as a blocker in the run game, a vital part of football that many receivers can't or won't commit to.